We have been there twice. Once on our way back from the Memphis in May Barbecue Festival and another time when we were heading through North Carolina for the Cherokee Pow Wow on our way to Montreal and Quebec. We will probably go there again since we haven’t seen half of what there is to see. 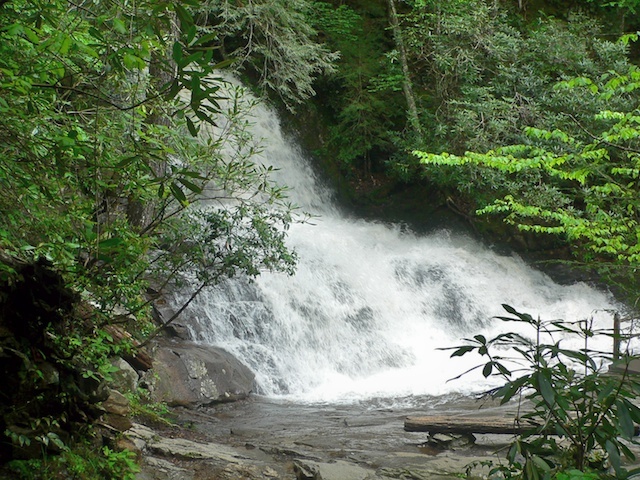 It is a favorite spot, The Great Smoky Mountain National Park. It has something for everyone, the oldest mountains in the world, hiking trails, scenic drives, picnic areas, waterfalls and wildlife. 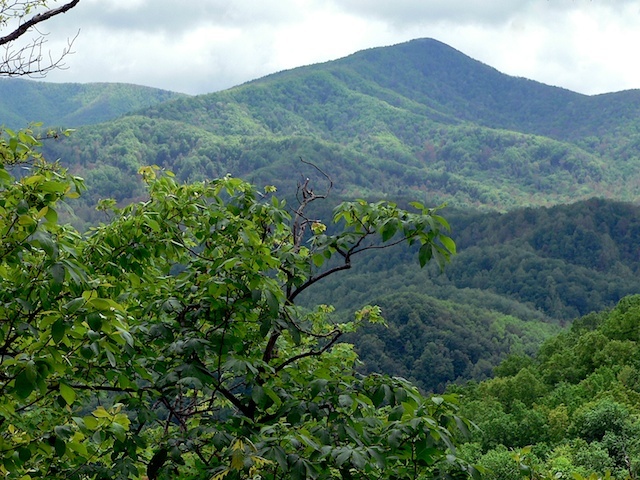 If you want honky tonk tourist traps and gambling Gatlinburg and Cherokee are but a short drive away. Hubby has bad knees and doesn’t hike, but at Smoky Mountain if you are not a hiker it doesn’t matter. You can take a scenic drive and see all the panoramic vistas you want, for very little effort. 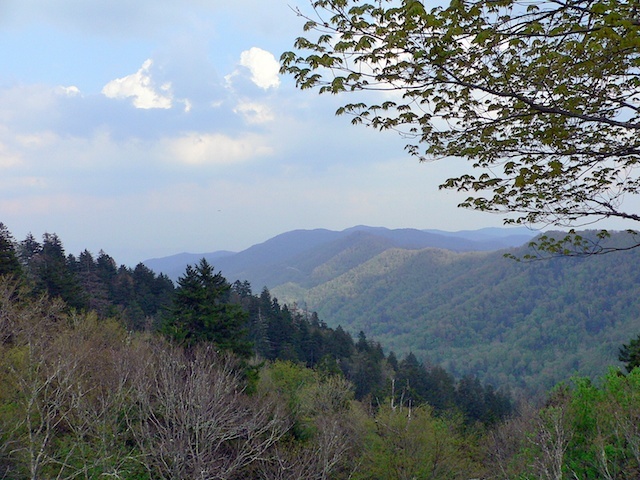 Clingman’s Dome, at over 6000 feet, is the highest point in the park. It’s a seven mile drive to the top but less than a half a mile walk to the observation tower and incredible 360˚ views. The scenery can be washed out and obscured by the hazy pollution that gives the Park its name. 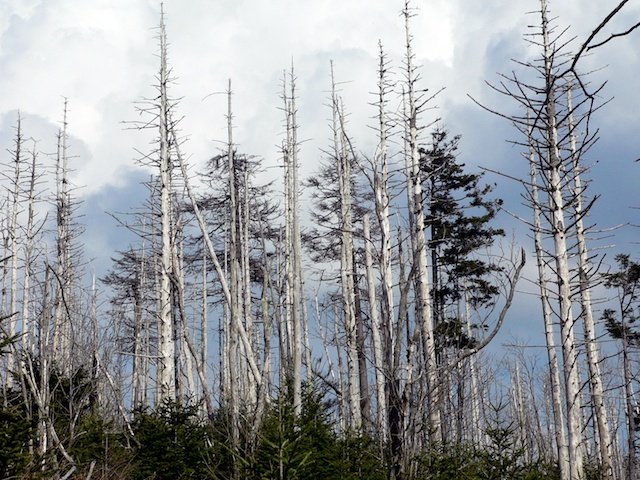 The acid rain and infestations have impacted the trees and plant life. But it is still a breath taking place. Both times we were there we had a lot of rain. You can’t pick your relatives or the weather, all you can do is make do. We usually stay long enough that we are bound to see the sun again. 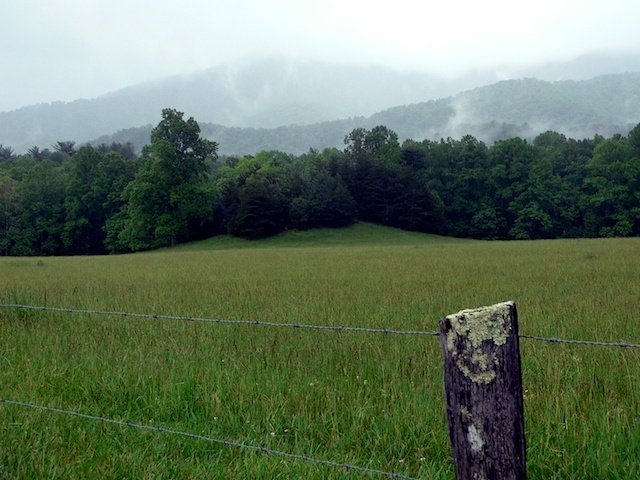 A favorite spot is Cades Cove. 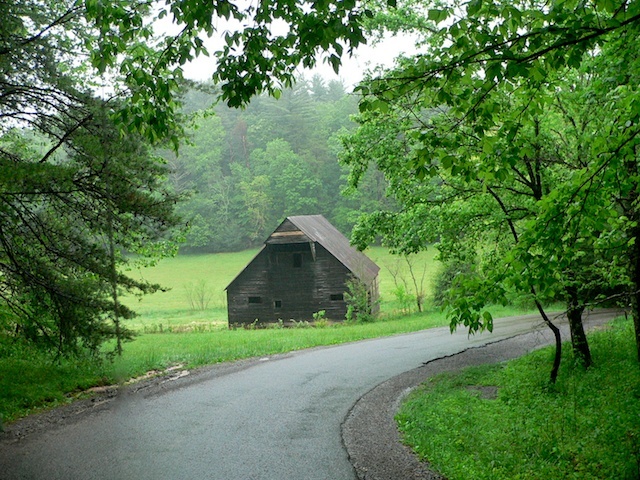 The drive loops around a broad valley and offers short trails to explore old buildings that originated in the early 1800’s when the area was first settled. Even in the rain, dodging the showers, it’s pretty spectacular. Wildlife viewing is almost guaranteed. 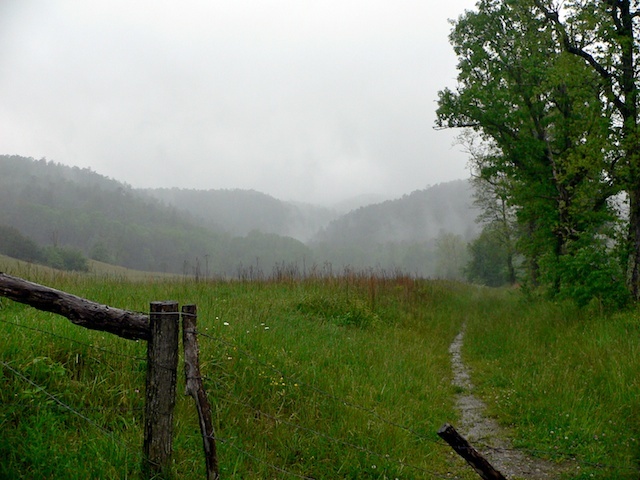 With beauty like this, even in the rain, how could we not want to keep going back? 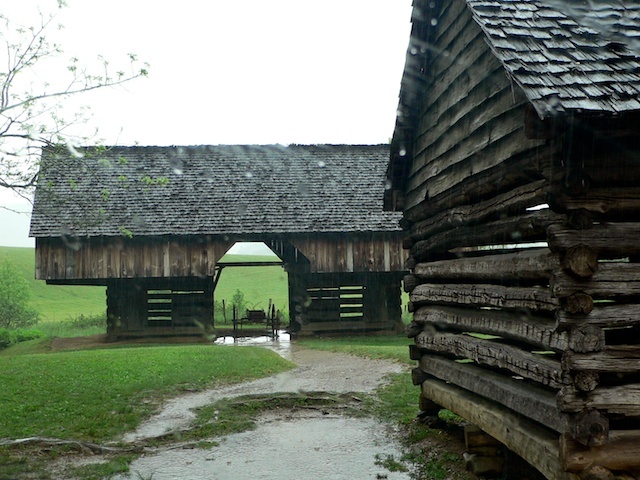 Enjoying your photos very much, especially Cades Cove.